Decorative Clock for Kitchen. 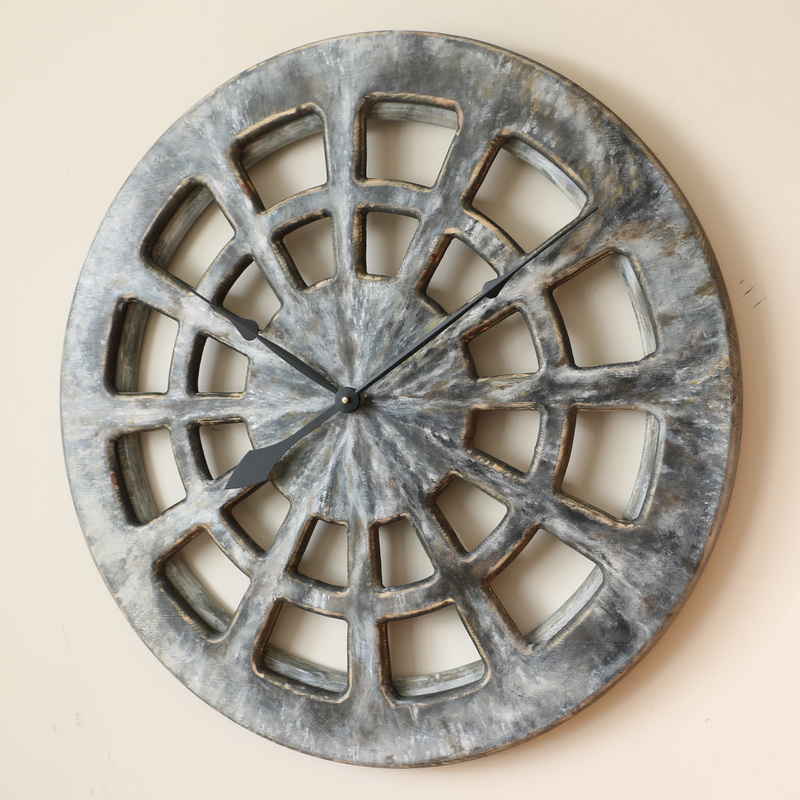 Handmade Piece of Wall Art. 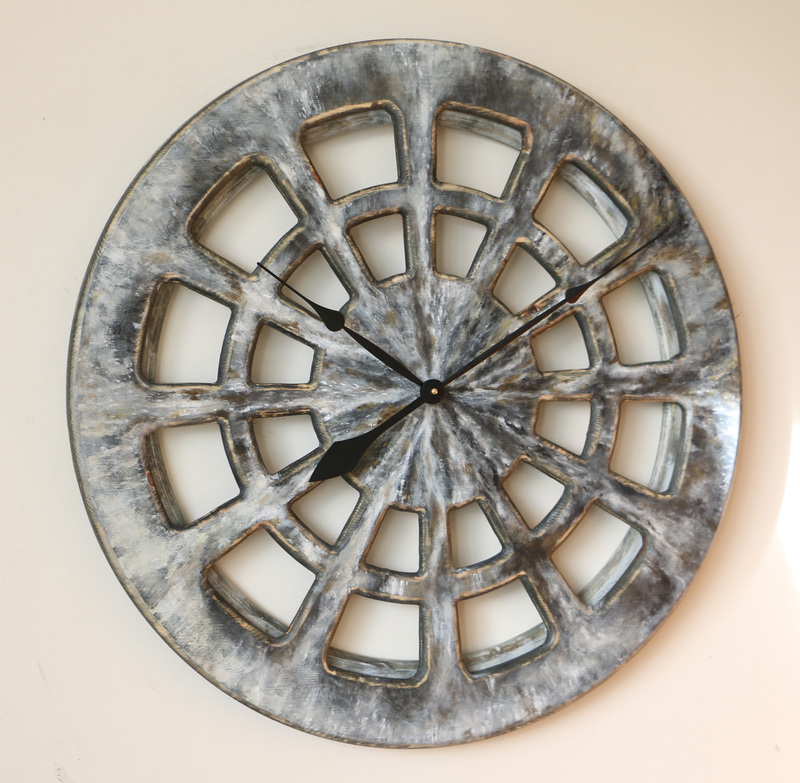 Beautiful handmade decorative clock for kitchen. This unusual design is available at three different sizes: 30″, 40″ and 48″. 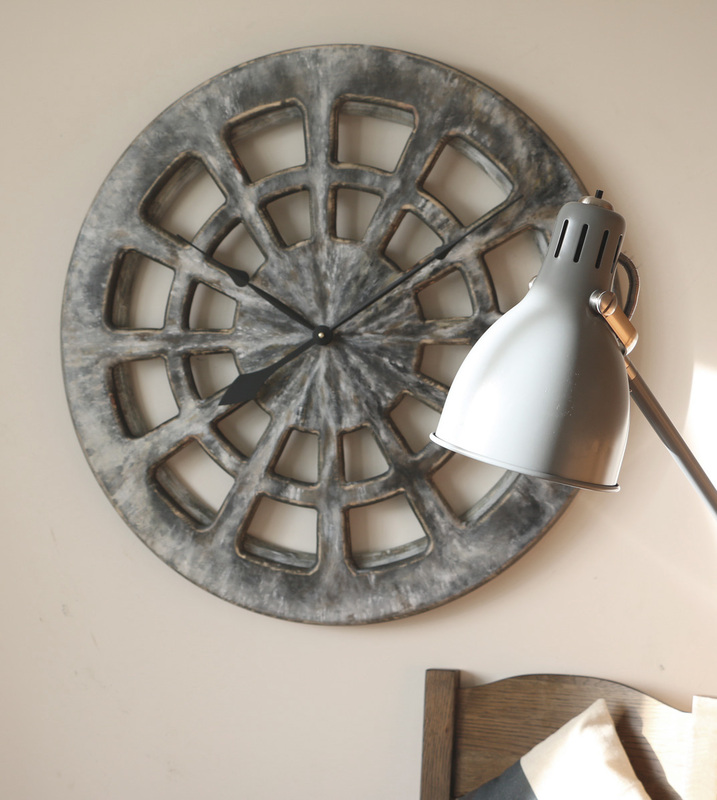 Our extraordinary decorative wall clock, as its name suggests, has its beginnings in fascination with wolfs. Its colour tones and textures are inspired by the lush, shabby fur of those majestic predators. The soft and varied strokes of greys and browns highlighted by the shades of ochre are arranged in seemingly chaotic layout. All this is to bring up an organic feel of nature. The addition of an oversized back rim provides visual depth and solid construction to this unprecedented skeleton design. 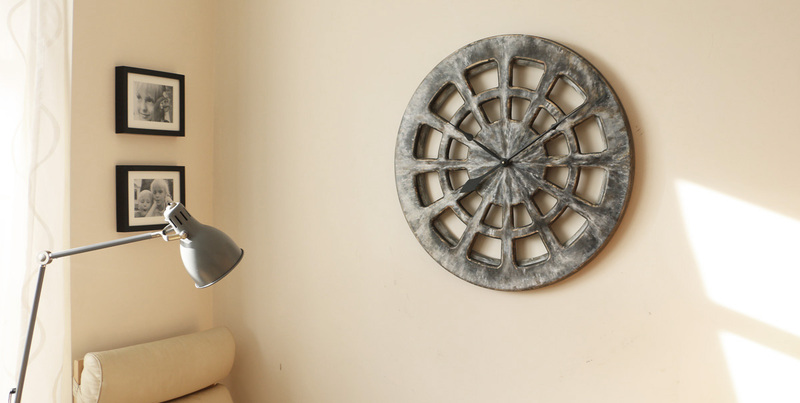 All together, the clock has wonderful three dimensional look that you won’t find anywhere else online. We made the “Winter Wolf” from two panels of sustainable pine wood and hand painted with non-toxic chalk and acrylic paints. We used the polishing wax to create a soft sheen and final blending of the colour tones. The mechanism requires C-cell battery to operate silent motor. It is the most powerful quartz movement available on the market. Metal spade hands match substantial wooden construction of the clock. 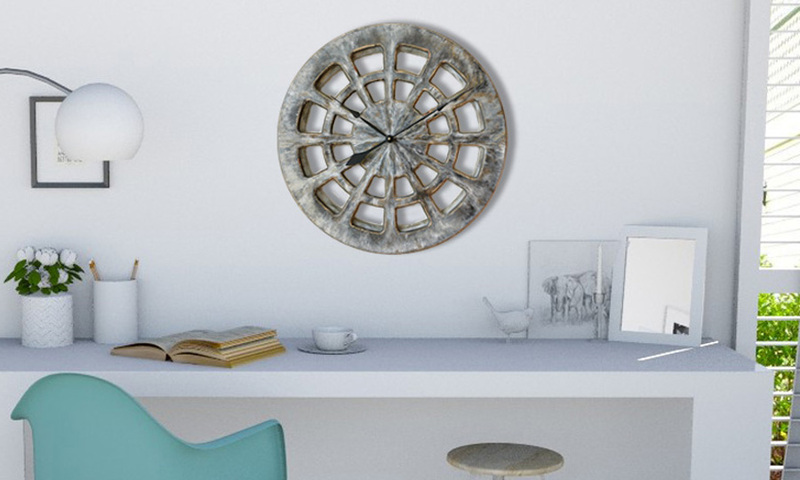 Are you looking for decorative clock for your kitchen, lounge or living room? 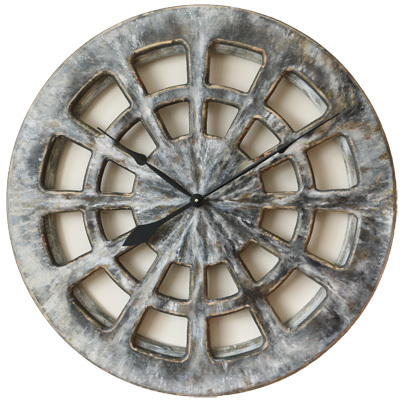 This charismatic decorative timepiece is unquestionably unique in its design. It is not just another time telling device but a true work of art. It is full of natural vibrancy connecting you to the mysterious beauty of wilderness. We are offering plenty more decorative wall clocks in different shapes and sizes. If you can’t find your perfect design please get in touch. 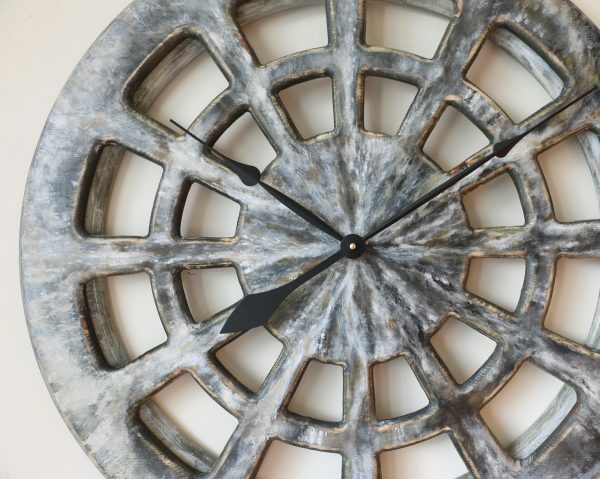 We can work with you and design the most unique decorative clock for kitchen, lounge or living room. You can reach us by phone, email or chat but we would also encourage you to be part of Peak Art Facebook Community and share your views with others.